I am forever thinking I should do more interesting things mid-week, and yesterday I actually managed to accomplish this. 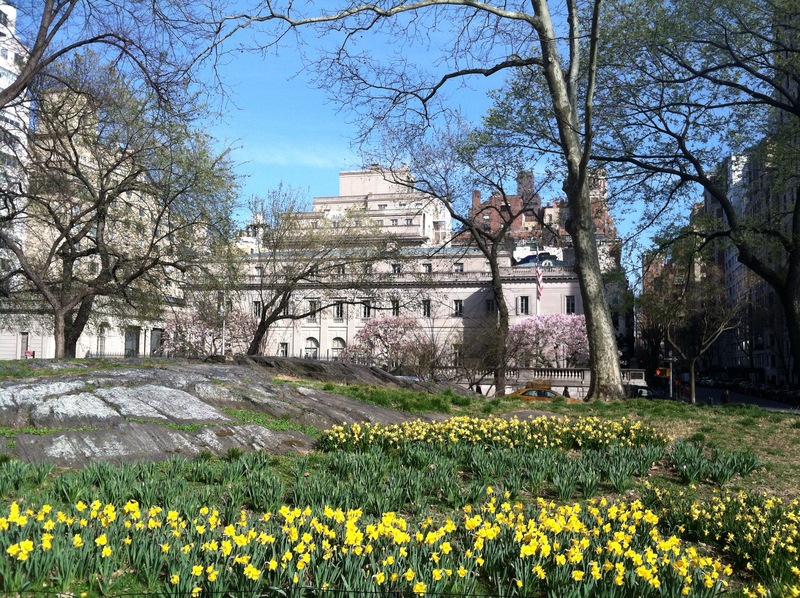 Prompted by a beautiful spring afternoon, I betook myself to the Upper East Side to visit the Van Dyck exhibition currently on show at the Frick Collection. 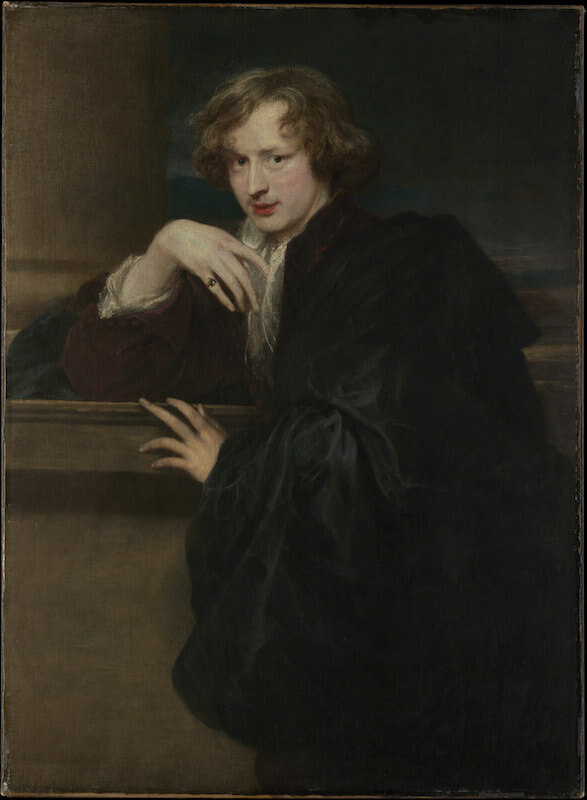 The show is described by the Frick’s publicity material as “the most comprehensive exhibition ever organized on Van Dyck’s activity and process as a portraitist and the first major exhibition on the artist to be held in the United States in over twenty years”, which was frankly enough to put me off completely. Blockbuster exhibitions are usually far too busy to actually enjoy, and I have this notion that I’m not all that interested in portraits. After visiting some of my favourite pieces in the permanent collection (some of Gainsborough’s gorgeous ladies, and the Holbein portraits of Thomas More and Thomas Cromwell, which I never tire of seeing in person – why do I think I don’t like portraits? 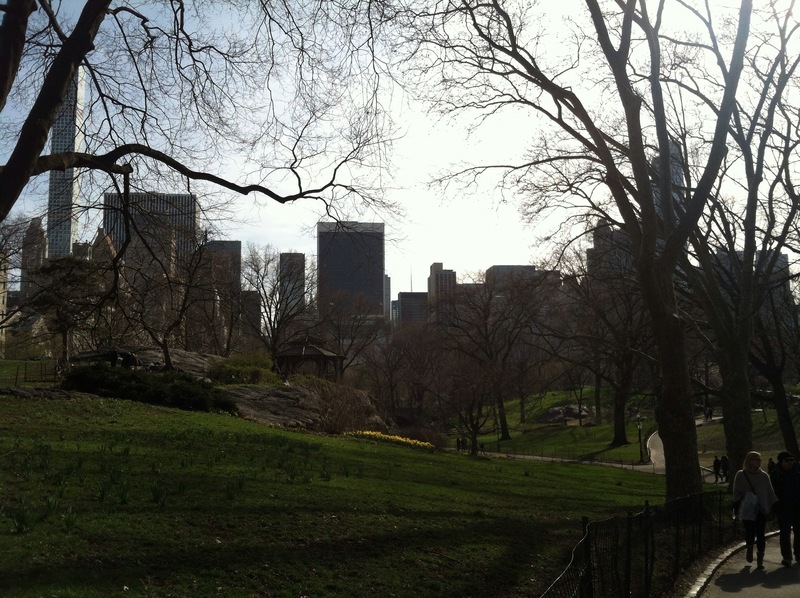 ), I wandered into Central Park and found myself admiring the building from a different perspective. 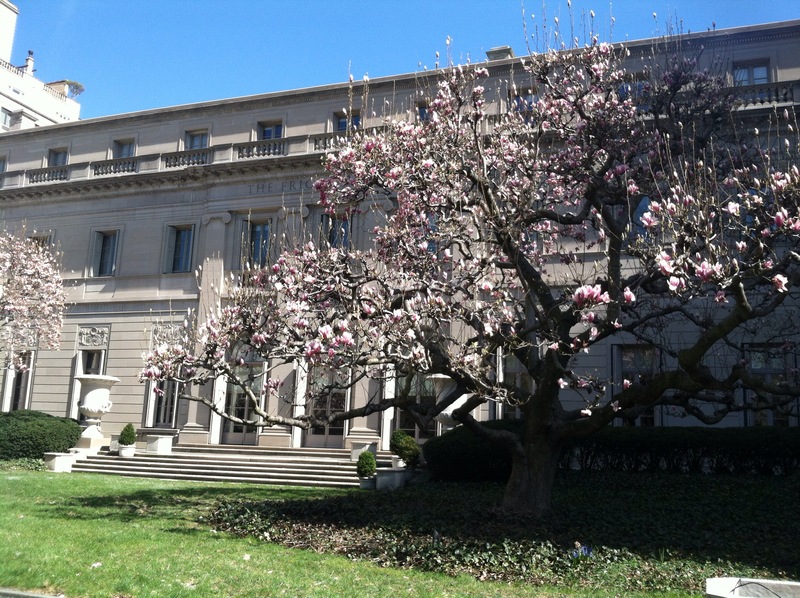 It’s one of the most tasteful gilded age mansions, I think, and the spring flowers set it off perfectly. Walking in Central Park is probably the thing I miss most since moving away from the Upper East Side. Of course, it’s easy enough still to go there, but occasional visits are not the same as when I used to traverse the southern part almost daily. 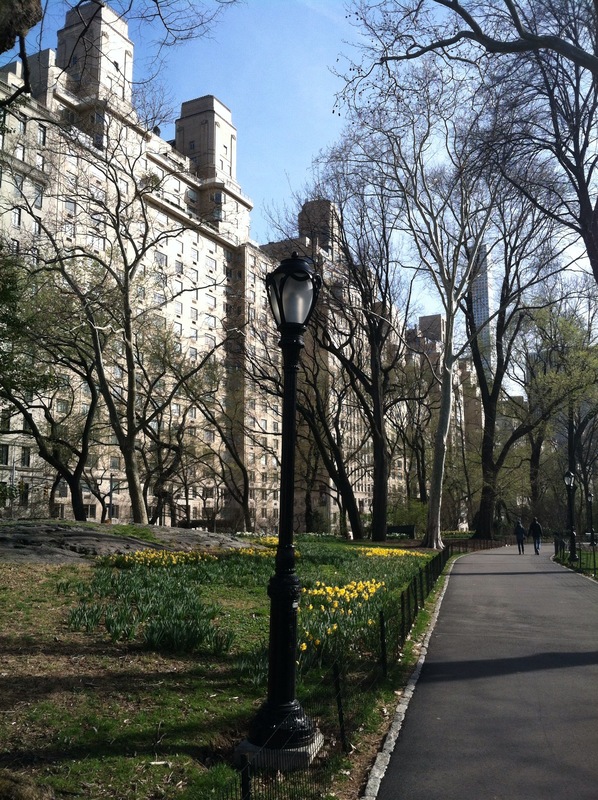 The daffodils and magnolia blossoms were out in force, and it was lovely to admire them as I headed back into midtown. 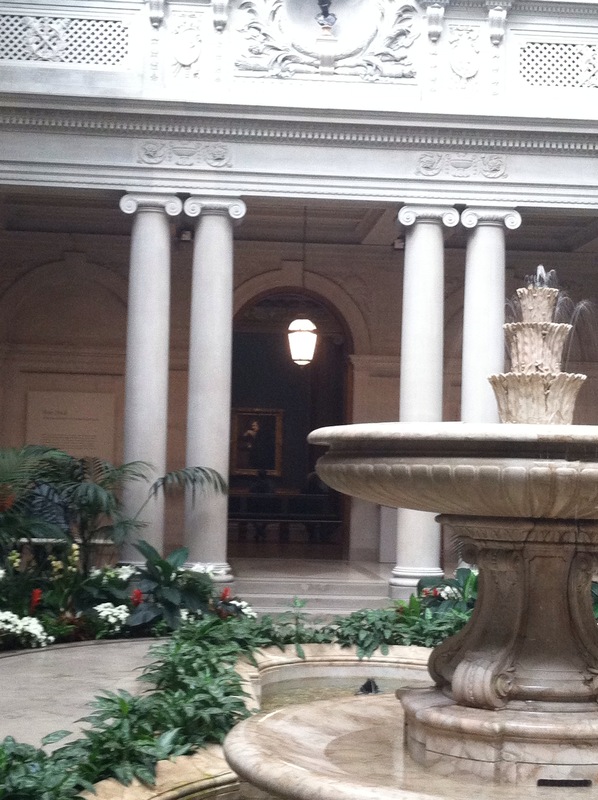 This entry was posted in Museums/galleries and tagged art, Central Park, Frick Collection, Van Dyck by Emma Davidson. Bookmark the permalink.